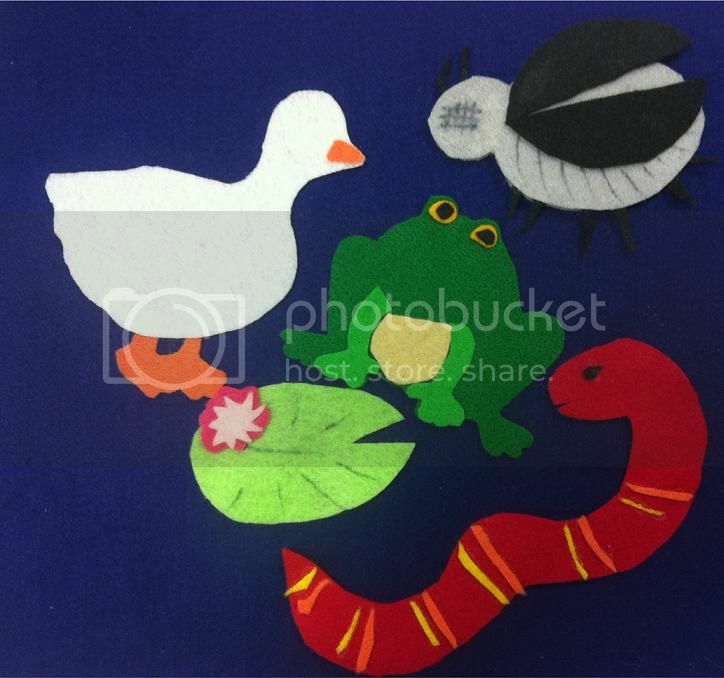 Here's my latest feltboard, it's all the pieces I need for Little White Duck. For the first time ever, I cheated, and taped the words to the song to the back of my feltboard. I'm kind of glad I did, because I always forget exactly how this one goes.